"Just a quick note to say thanks to you, the band and Damien for your amazing performance on Up For The Match. We couldn't have asked for a better opening. It was a pleasure to deal with you and hopefully we'll get a chance to work together again." "Congrats to all the Electric Céilí gang who blew us away and took home the gong for Best Corporate Entertainer at the 2011 Event Industry Awards. Well done Guys! “The Embassy of Ireland, New Delhi has no hesitation in highly recommending Electric Céilí productions. 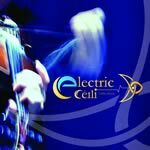 “It is no coincidence that they are called Electric Céilí. They do exactly as it says on the tin! Their energy is high, they are great fun, they engage with their audience and they always, always, leave the guests wanting more.